For our Autumn term courses starting in October, Cactus Language is pleased to announce a new central London location for a wide range of evening language courses including Spanish, French, German, Italian and Portuguese. If you work in the London Victoria area or travel home from London Victoria train station this is the perfect location for you. 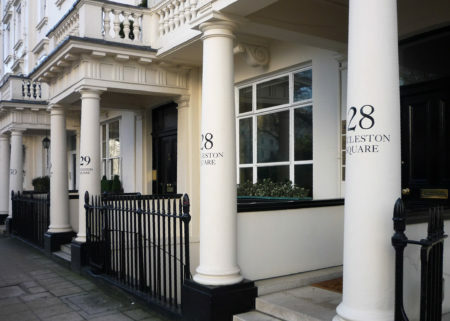 Just a two minute walk from the main line station our London Victoria school in Eccleston Square has 20 modern, well-equipped classrooms housed in a beautiful victorian building. Cactus is adding the London Victoria location to our already popular evening language course schools in Holborn, Kings Cross, Islington and Wimbledon. With schools across London and the rest of the UK Cactus Language is the UK’s leading provider of evening language courses, teaching over 4,000 people every year. In addition to Spanish, French, German, Italian, and Portuguese, Cactus Language also teaches Arabic, Japanese, Cantonese, Croatian, Czech, Danish, Dutch, Greek, Hebrew, Hindi, Mandarin, Norwegian, Polish, Russian, Swedish, Turkish and Thai. Our students study languages with us for a variety reasons including work purposes, CV enhancement, travel, moving abroad, overseas property purchase, love and marriage, personal growth, and personal interest. Our students are aged from 18 to 80 and everything in between – and what they all have in common is a strong desire to learn another language and understand another culture.